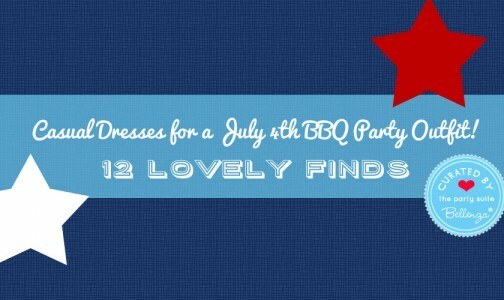 Some themes just lend themselves perfectly to the summer party season. 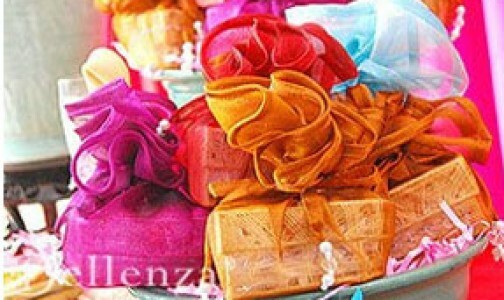 And a Moroccan theme is definitely one of them! 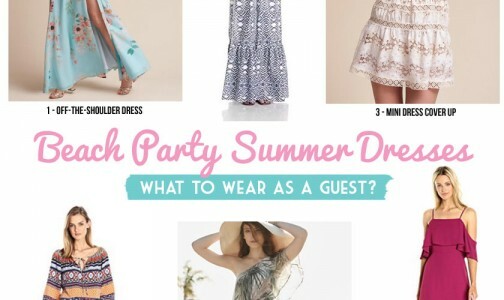 If you’ll be hosting (or attending) a poolside gathering inspired by exotic Morocco, there are wraps, cover-ups, and scarf dresses to choose from. 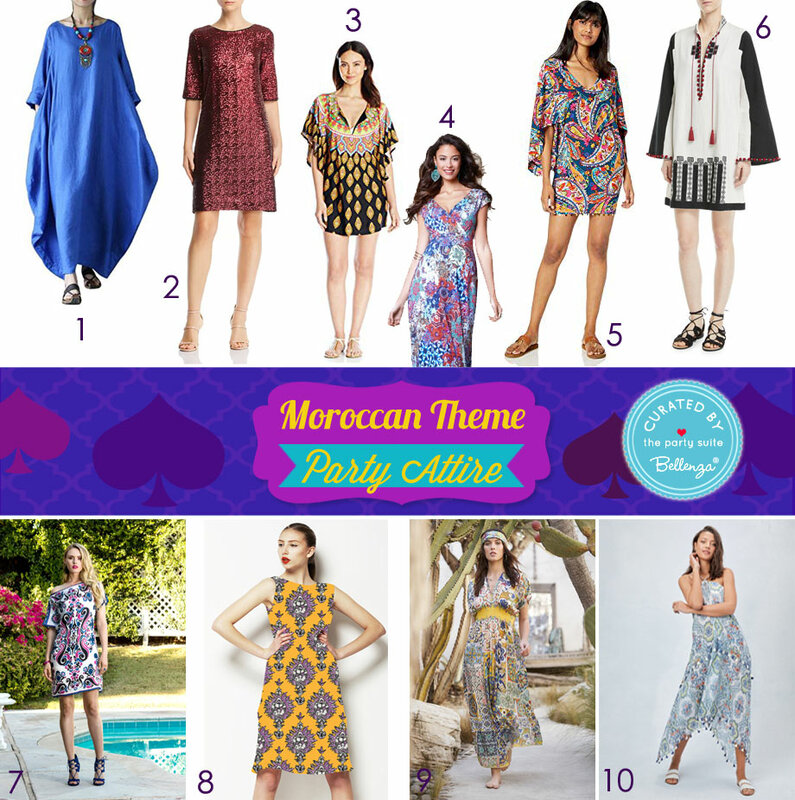 While for an event in a mini Moroccan lounge at home or in a Moroccan-themed backyard getaway, take your pick from tunics, kaftans, and maxi dresses. What makes these outfits so distinctive are their loose, flowing fabrics in signature prints such as “Moroccan tile,” paisley, floral, and ornate patterns; rich jewel tones; and embellishments like tassels, fringe, and embroidery. Happy shopping! 1 – Go for drama (while being super comfy!) 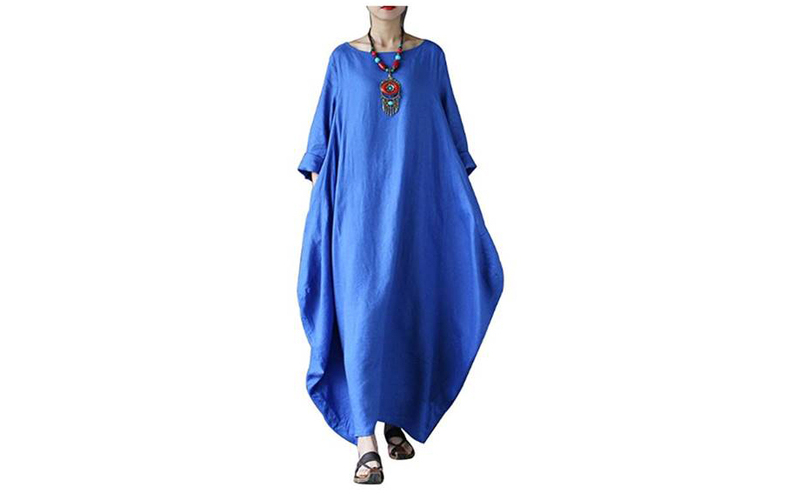 in this Women’s Solid Kaftan Loose Cotton Long Maxi Dress (via Amazon). It’s fabric is 100% cotton and comes in a choice of 5 solid colors, but we thought this blue was suitably “Mediterranean”! 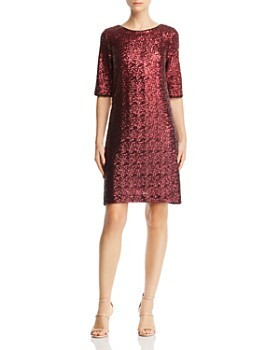 2 – For a more dressy summer soiree, this Betsey Johnson Sequined Shift Dress in burgundy (via Bloomingdale’s) evokes effortless glam. Its relaxed A-line silhouette is thanks to a high-stretch fabric, while its elbow-length sleeves and all-over sequin embellishment say style done simply. 3 – The Trina Turk Women’s Moroccan Medallion Tunic Cover Up (via Amazon) offers a soft, flowy fit in an exotic medallion print. 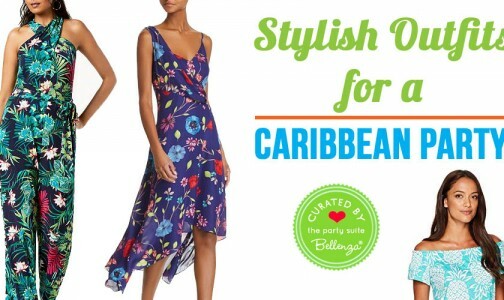 Since it’s thigh length, it’s ideal for a pool party; or it can be worn over wide-legged cotton pants. 4 – More Eastern charm in this Alana Maxi Dress – Moroccan Print by Tiffany Rose (via Mums and Bumps). It features a Moroccan-inspired print in the softest premium jersey, with a flattering cross-over bodice, capped sleeves, and the graceful drape of a floor-length skirt. 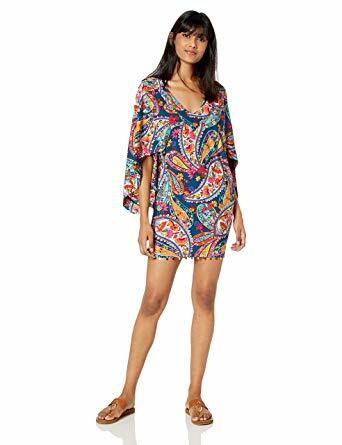 5 – Also from Trina Turk, this Women’s V-Neck Tunic (via Amazon) is a charmer with its colorful, floral paisley print. Plus, it’s so easy for summer wear in a lightweight nylon and elastane blend. 6 – For a unique choice, consider this Moroccan Embroidered Tie-Neck Wide-Sleeve Tunic (from the Talitha Collection, via Neiman Marcus). Note the Moroccan-style embroidery, deep split neckline with tassel ties, and wide, long sleeves. 7 – The Amanda “Moroccan Garden/Retro Graphic” Silk Scarf Tunic (from Candice Held) in silk twill and silk crepe de chine is extra-special as it features original hand-painted artwork by Candice Held, plus it’s reversible to show either a garden print or a retro graphic. 8 – For chic and easy wear, consider this Moroccan Modern Geo Print dress by Jessica Russel Flint (via Pattern Bank). It’s striking hand-illustrated pattern makes a definite statement for its simple shift cut. 9 – Strike a boho pose with this Morocco Dress (from Johnny Was), adorned with a Moroccan tile pattern in tones of blue and gold. The fabric is light and airy (with an accompanying slip), while a V-neckline and a ruched empire waist provide distinctive touches. 10 – Summer party wear can’t get much easier than this Moroccan-inspired Olivia Dress in sheer printed cotton (from Shop Love Stitch). It’s a fun scarf halter dress with spaghetti straps, mini tassel trim, and an asymmetrical hemline. 11 – Definitely suited for a poolside affair, this Tile-T Dress (from Tory Burch) is made from terry cloth—a nod to the trend of lounge-wear-as-outerwear, while the pattern is reminiscent of Moroccan tile work. 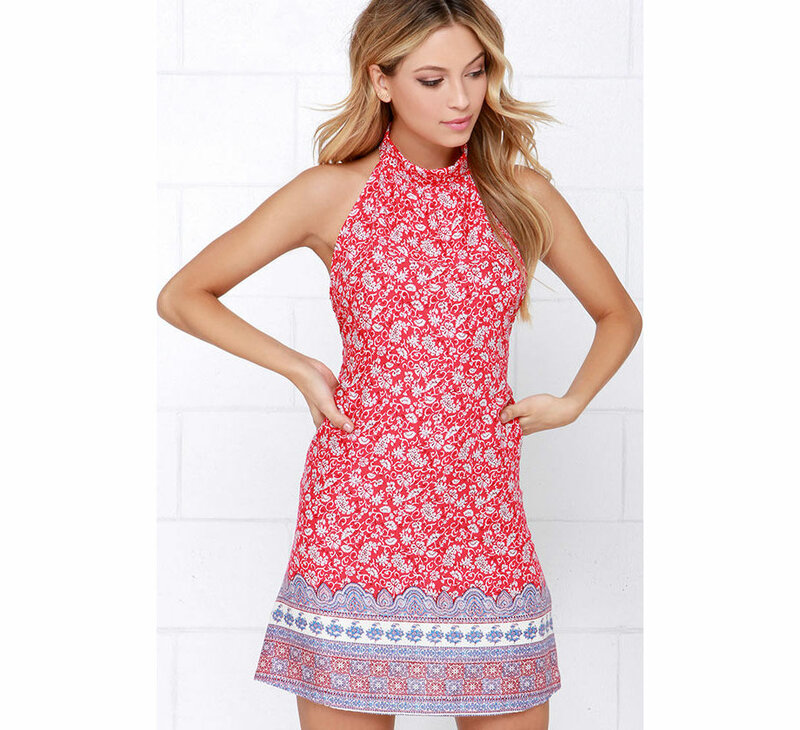 12 – Short and summery, this Moroccan the Boat Red Print Halter Dress (via Lulu’s) is sewn from a breezy, woven fabric with red and blue Moroccan-inspired prints. Its relaxed sheath bodice features a high halter neckline secured by two gold buttons at the nape, over a daring bare back. 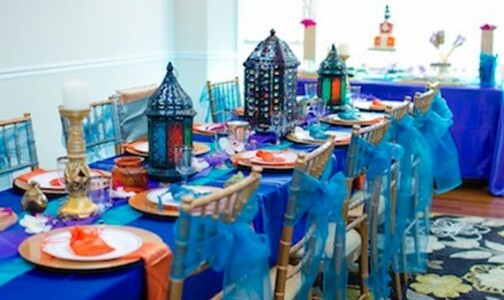 All set now for that Moroccan-themed party coming up this summer!